Marketing has always played a critical role in sales. As such, companies are constantly scrambling to come up with innovative ideas on how to push their products further as they constantlyseek better and more effective marketing tools. Today, it’s not just the companies that seek to market products. It is also the individuals whose products are being marketed who realize that in many ways, the keys to the success of a given product often rest soundly with how far the individual is willing to invest inthe self-marketing of his product. The results of self-marketing are bigger and better marketing venues as people use their own ingenuity and apply their own creativity towards applying new marketing tools. But one person has gone ahead and attempted to do something. This something is an ingenious idea recently created by thePester Rebbe – Yoely Lebovitz whose new CD –Pesterized was released, and has since seen record breaking sales already topping last year’s record for a Yiddish comedy album with his CD Boondash. The CD includes one entry into the Lobovitz’singenious marketing technique: the Pesterization Game. The Pesterization Game’s ingenuity lies in the double service playing the game can provide. Not only is the consumer happy with being able to enter into the raffle entry each CD’s unique code entitles the bearer to, but it also gives the consumer a direct voice thatYoely Lebovits wants to make sure is heard. 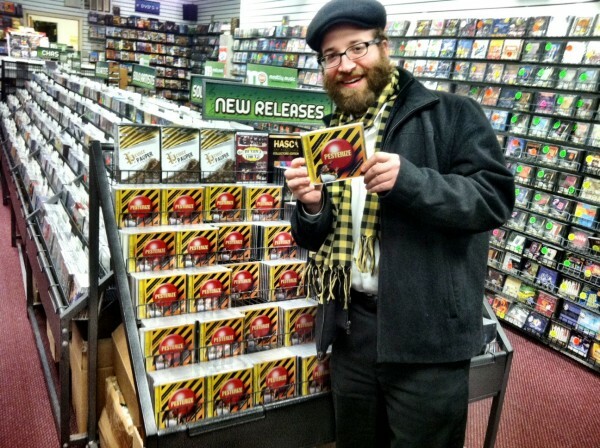 Even the stores come out ahead, since the store which has sold the most CD’s according to the online entries, will be announced to the Pester Rebbe’s email following on a list that reaches more than twelve thousand addresses. But the feedback for Pesterized and the Pesterization game has so far been amazing. And so this innovative marketing tool has made its debut at the same time as fans all over get Pesterized. The question remains though how successful will Yoely Leobivtz’s new marketing endeavor be – the answer will have to depend on the fans, a part of the market that until now never received the voice and attention that the Pesterization Code opportunity is offering as of today. So will the fans choose to reamin in the dark or will theytake advantage when “Opportunity Knocks”. My suggestion:Tzind ooon de light!